I’d like you to meet a girl who rocks my world. She’s equally happy enjoying international views from the front seat of a smart car and the lively waters of Corsica’s rugged west coast as when she’s island hopping the length of Fiji’s Mamanuca and Yasawa Islands, “Peaches” has broadened my paddling horizons. She is my ever faithful, a sleek and beautiful sea kayak handmade and designed in Wales, UK by Nigel Dennis’ company Sea Kayaking UK. Peaches is a design called the Explorer, that many regard as the world’s most trusted and utilised expedition sea kayak. Nigel can create a 3-piece kayak from any of his 17 sea kayak designs. The lads started with “Peaches” whole and firstly cut her into 3 pieces. They then added special interlocking bulkheads that prevent twisting and make each section water-tight. Four heavy-duty tension-adjustable locking clips are fitted at each join and assembly of Peaches is a super quick job. 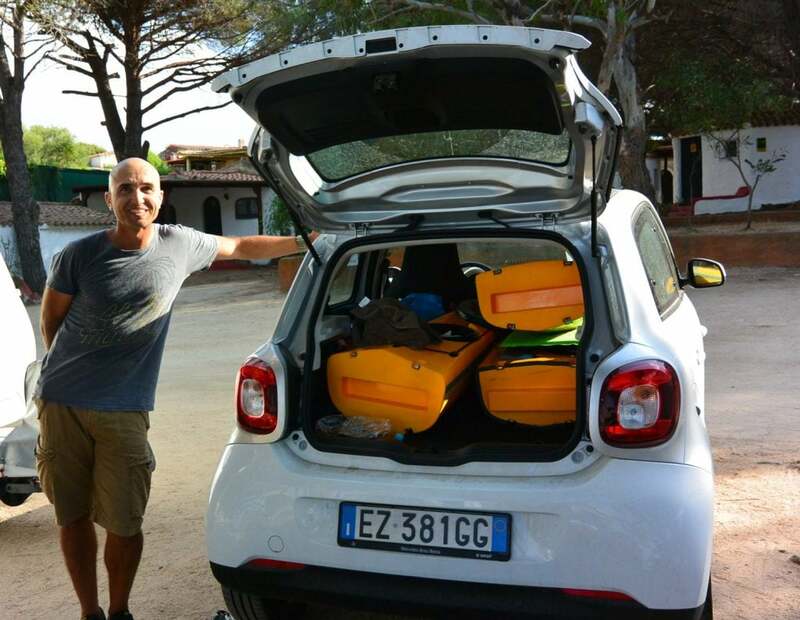 Just last year I travelled with “Peaches” in Spain, Italy, Corsica, Sardinia and Fiji. She can be packed in to two bags, the cockpit in one and the bow and stern together in the other. So far she has been transported by trollies, elevators, planes, ferries, cars, taxis, boats and buses! 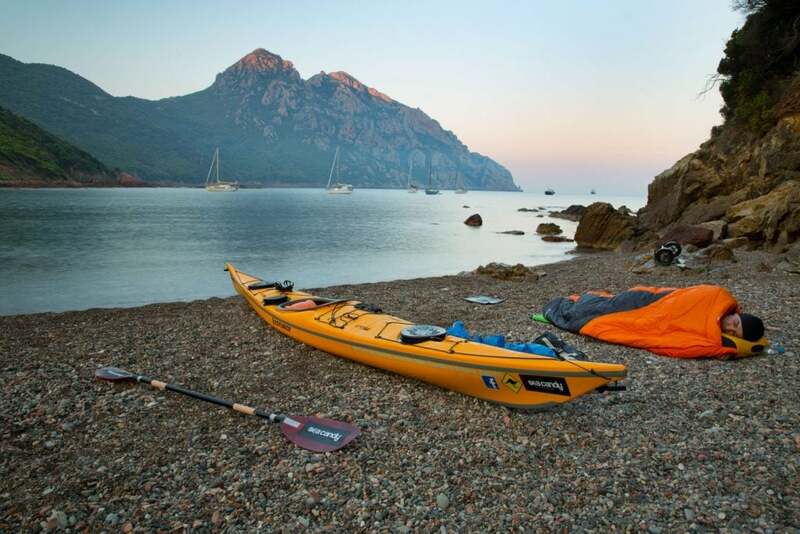 3-piece kayaks may also appeal to paddlers who are chasing a fully rigid performance sea kayak though have storage limitations like apartment living or yacht/motor home travel. 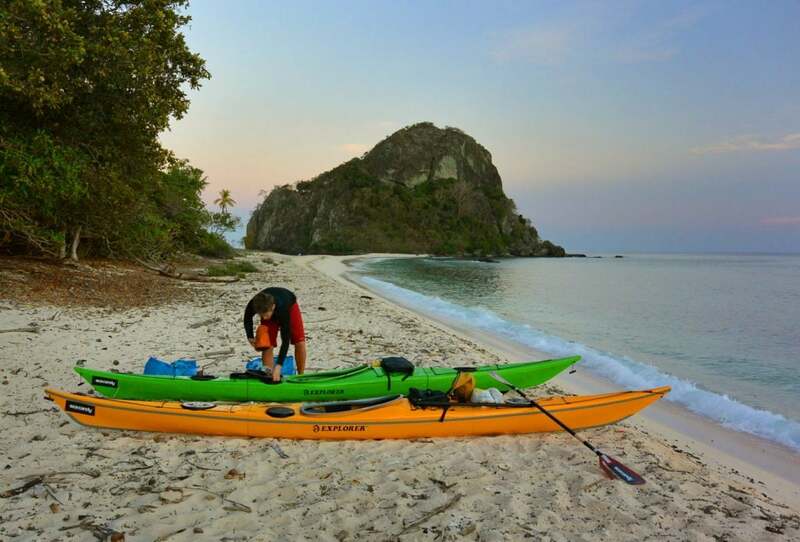 One of the hardest things of destination sea kayak expeditions is transporting kayaks. The 3-piece concept opens up the world to me as a paddling playground, I can simply fly in and start an expedition almost anywhere! 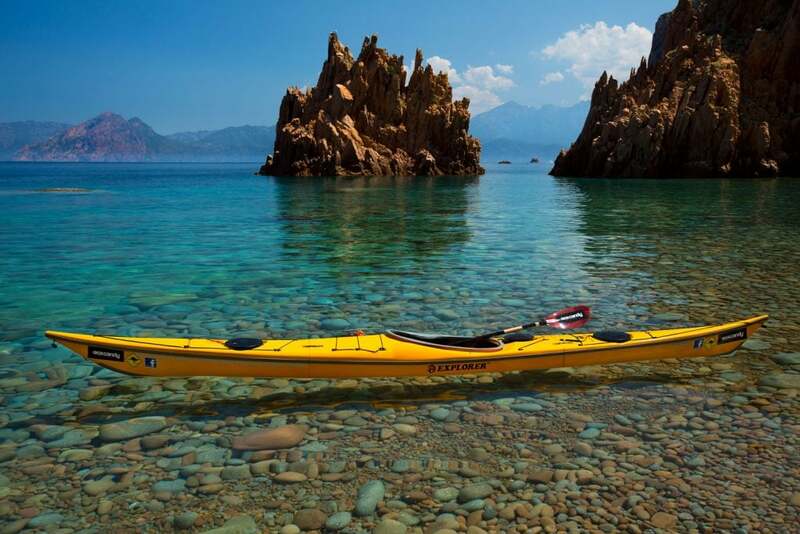 A photographer, a sea kayaker, an explorer, an adventurer - immerse him in the natural world! 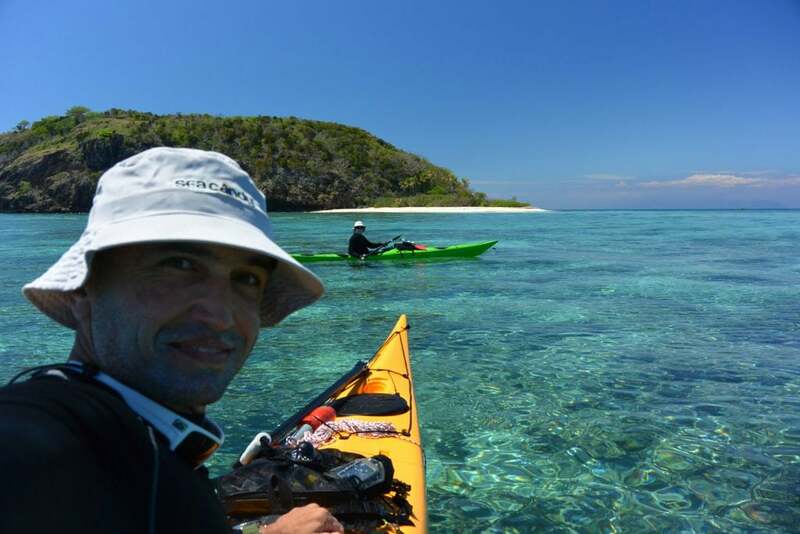 Eddie runs Sea Candy Sea Kayaking and offers bespoke international expeditions, instruction for those looking to work on their sea kayak mastery as well as the Sea Kayaking UK line of sea kayaks from Wales.